Ride The Legend What do people think of when asked to define America? Leadership. Independence. Freedom. A big country. And relaxed, friendly people. Next to hot dogs and apple pie, is there anything closer to that image than the hot rod? You know the formula: a big engine with tons of torque, the more cylinders the better; a low-slung chassis; and a long stretch of highway or boulevard to let it stretch its legs. 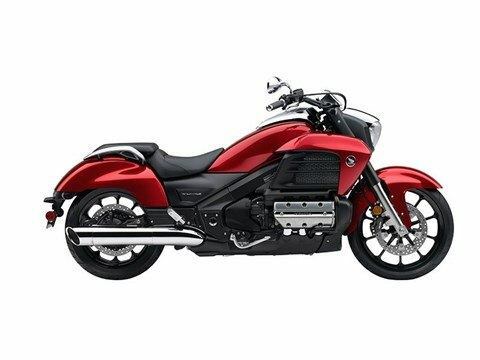 That’s the Honda Valkyrie formula. And it’s what makes this bike unlike anything else on the road. Is it for everyone? Hardly. 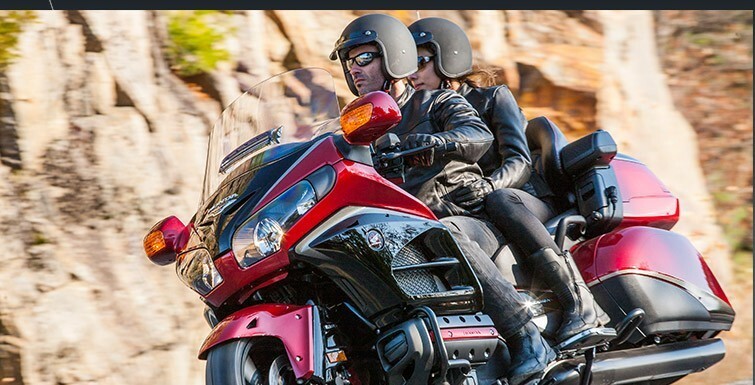 But then, that’s the whole point of a bike like this, isn’t it? 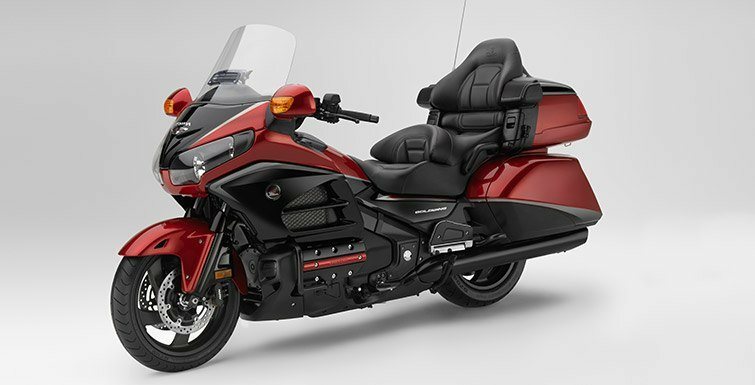 Strong, lightweight (thanks to the hollow-spoke design) and super stylish, the Valkyrie’s wheels make a big statement and are an integral part of this bike’s great handling. 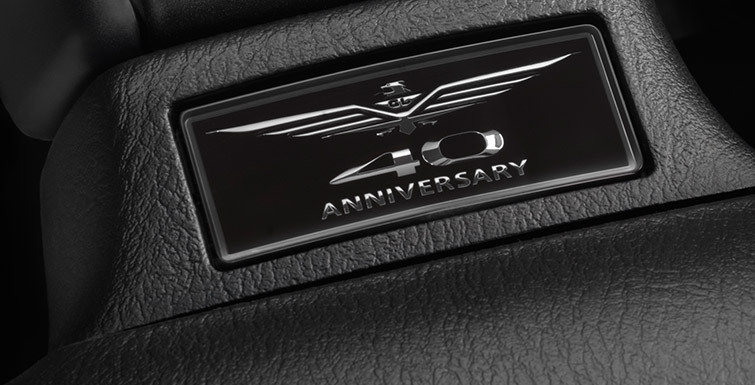 There’s no denying it—the Valkyrie is all about its engine. And with an engine this big, you’ve got smooth power everywhere. Stoplight-to-stoplight acceleration? Passing power? Loads of torque? The Valkyrie has it all and then some. 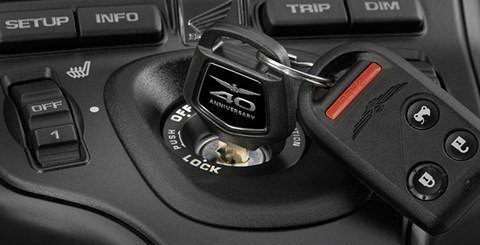 Sure they’re functional, but just as importantly, they look great, too. The Valkyrie offers lots of nice, progressive styling touches like these everywhere you look. 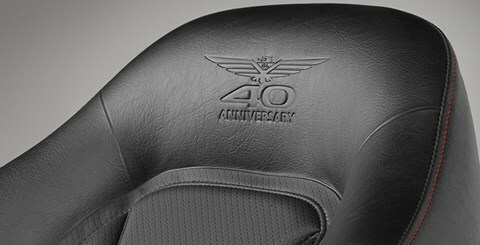 The Valkyrie’s two-piece seat allows you to customize your look if you’re riding solo. 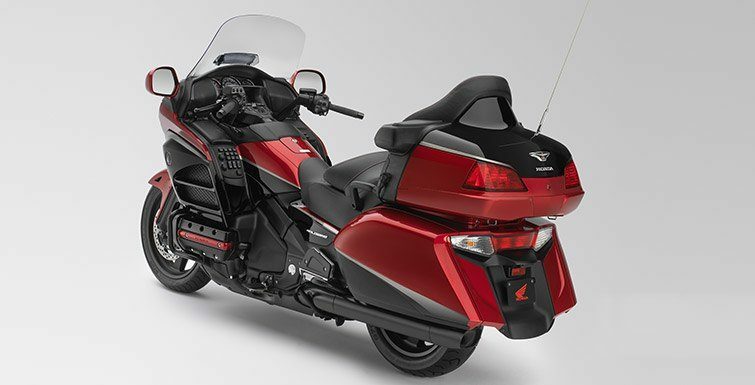 The stylish tail section incorporates removable rear seat and aluminum passenger grab rails for a streamlined look. How low can you go? The Valkyrie’s engine is mounted low into its aluminum twin-spar frame, which makes this a dream machine to ride; its low seat height makes it one of our most comfortable bikes, too. 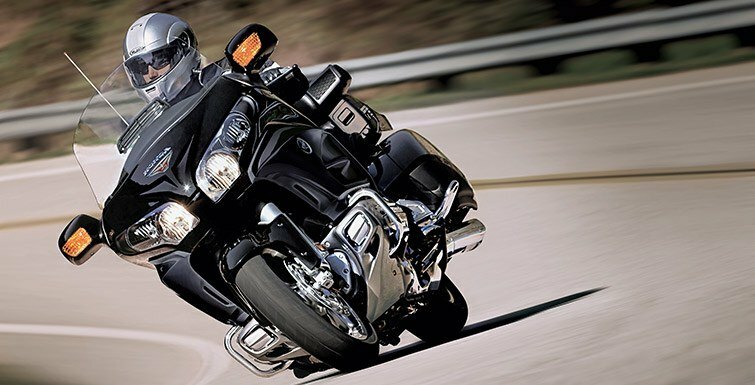 A high-performance motorcycle like this one requires a technologically advanced suspension. 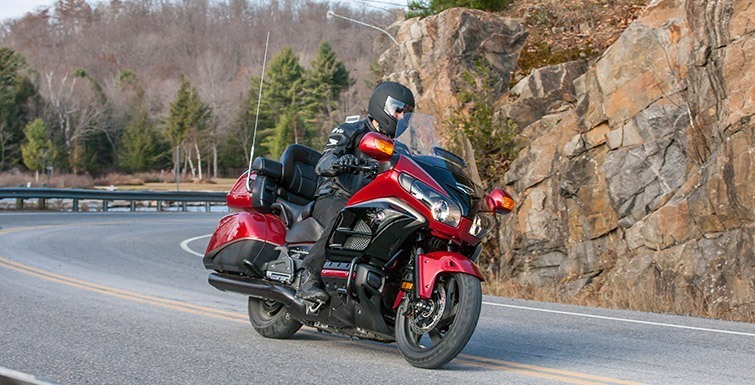 The Valkyrie features a rear Pro Arm single-side swingarm with an adjustable Pro-Link single shock. 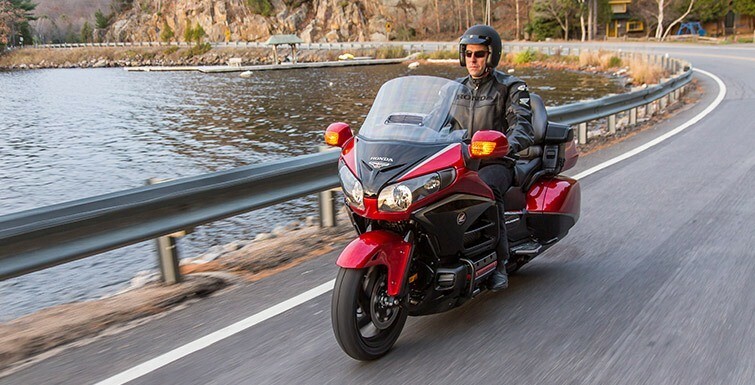 The concept of shaft drive was proven in the very first Gold Wing over 40 years ago, and it’s still the best solution today. Shaft drive means you never have to worry about adjusting, lubricating or repairing your chain, and Honda engineering means the lightest, best performing shaft drives on the road. The Valkyrie’s dual three-into-one exhausts with slash-cut mufflers look great, but they sound even better. The Valkyrie outperforms all other cruisers and it looks the part. The six-cylinder engine itself is a major styling point, and the frame tank and bodywork flow from front to back. 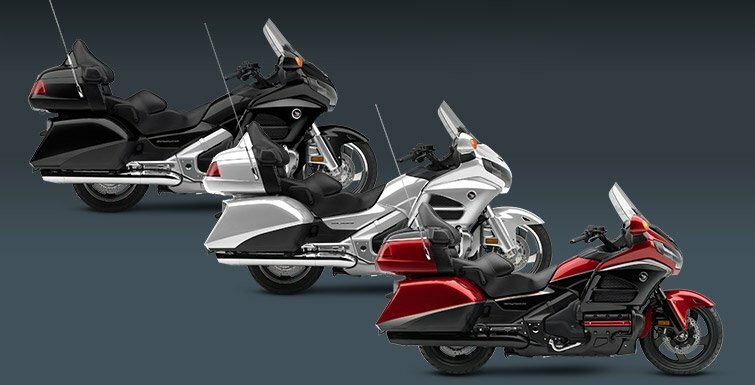 Polished-metal highlights and a low, aggressive stance complete the standout styling. 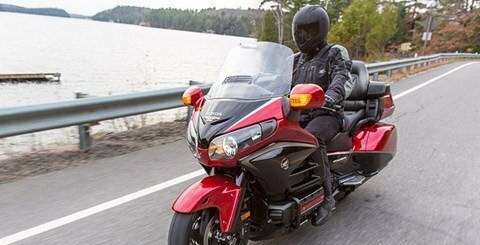 41 MPG - Miles per gallon values are calculated estimates of fuel consumed during laboratory exhaust emissions tests specified by the EPA, not during on road riding. Use for comparison purposes only. Your actual mileage will vary depending on how you ride and maintain your vehicle, weather, road conditions, tire pressure, cargo and accessories, rider and passenger weight, and other factors.